But we are also a classroom in Ontario and must adhere to the Ministry expectations for the Full Day Kindergarten Program. As such, planning has become an interesting consideration as we cannot always predict ahead of time what our children will be interested in exploring. 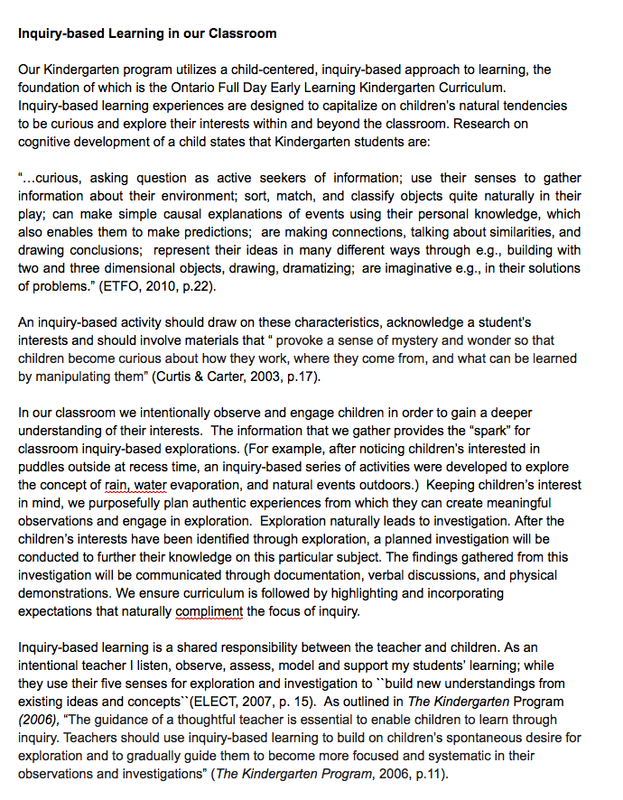 We also wonder about the balance between explicit and guided instruction in this emergent, transformative space. We have an obligation to fulfill expectation and assessment requirements yet we do not want these to hinder our inquiries. There needs to be careful integration of the expectations into the many aspects of our day in order for this to seamlessly happen. Much like a conductor ensures each musician precisely yet artfully contributes to an aesthetic mosaic, we weave together inquiry, play, curriculum and assessment to provide the best possible experience for our children. How do we do this? 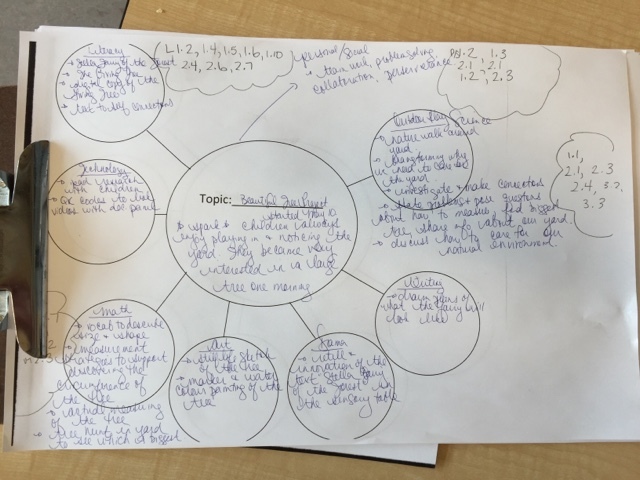 What does our planning look like? This post is the result of the many questions and comments we have received and is a start to answering some of these and making our planning process visible to others. This blog entry is not an exhaustive list of our practice. We look forward to continued interest in what we do and constructive questions and feedback to help us reflect upon how we can evolve our program for the betterment of all children. We are obligated to hand these in each September. When one considers how traditional yearly plans are created (predetermined units of study and expectations planned to be used at specific points of time in the year) it becomes quickly apparent that these do not match the philosophy or delivery of an emergent, inquiry-based program. We cannot determine ahead of time what we will be working on together with the children and to do so goes against our philosophy of embracing student voice. If we create yearly plans with the intention of not following them, we are merely engaging in a creative writing exercise that is wasting our time. What we have done for the last several years is use our yearly plans as a way of educating and articulating to those outside our immediate classroom how our program works. 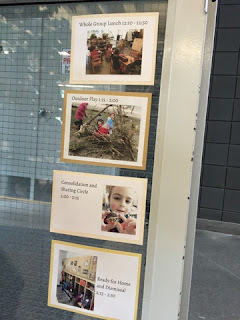 Key concepts include an explanation as to what play and inquiry are, what centres and materials are going to be present, how we reflexively use the children's ideas, strengths and needs to determine our inquiries, how we connect with our families and the greater community, and how we build rich literacy and numeracy experiences into our environment. 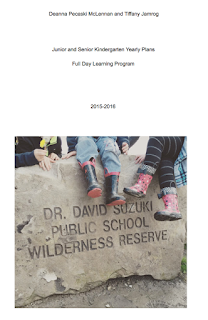 This plan is more a research-based support for the pedagogy behind our practice, making our philosophies for early childhood present in our planning, and helping advocate for and educate readers about emergent learning. By doing our plans in this way we are helping our administration understand our program and the art of weaving curriculum and assessment obligations into our daily life and work together with the children. 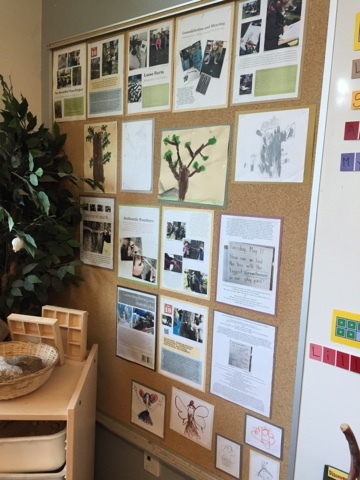 By creating these together, we ensure each team member's vision for the program is represented and all team members have the same understanding of what emergent inquiry looks like in an FDK context. Co-creation means we work together to build a strong foundation of philosophy and research-based practice to guide our work and can articulate our program to our colleagues, families, and the community. We attempt to have as free flowing of a schedule as possible within the constraints of our standardized day. As one class in a school of many, we don't always have control over where our children can be or what they are expected to be doing but have tried to limit transitions, invite planning teachers in as partners, and maximize the time/spaces/resources that we do have. Our schedule is the same each day with the exception of gym and library time, which we have attempted to weave in as best as we can. Our children have free flow snack during the large play time but sit together as a whole group for lunch when we are out of the room on our lunch (monitors cover for us). Our planning time teachers attempt to collaborate with us as best they can to support inquiries and share their observations and often take our place within the schedule instead of changing our routine or activities when they visit. We are hoping to have a free flow lunch as well in the near future to minimize the disruptions to the table top activities and better meet the needs of our learners, and are working on how to best do this with our population. To see a complete description of our schedule please visit the Daily Flow blog post. The children have total choice and control over what they do in the play blocks; we do not limit number of children at centres, and encourage the integration of materials all around the room. Children can visit wherever they'd like and can use materials however they wish. We set up table top invitations to support ongoing inquiries, fulfill gaps in our curriculum, and initiate assessment opportunities. We also co-create the learning centres together with the children and add/evolve the materials and organization to better reflect their interests, strengths and needs. An extensive clean up and having our 'star of the day' do a centre check after play ensures materials are tidied as expected and helps keep our room clean and organized. Discussing and planning our 'schedule' together as a team at the beginning of the year, and continually revisiting it and reflecting on how to better improve it, helps support our planning in a number of ways. Both myself and my teaching RECE partner choose parts of the day that we are most interested in leading, and plan exclusively for these parts. This way we can both have ownership over some aspects of the day, know what to explicitly plan for, support ongoing inquiries in a variety of ways, bring our own individual interests and experiences to the group, and have autonomy in our teaching. However we are continually discussing, revising, co-planning, collaborating, and evolving the schedule and our activities to better reflect the interests of the children and move our learning forward. 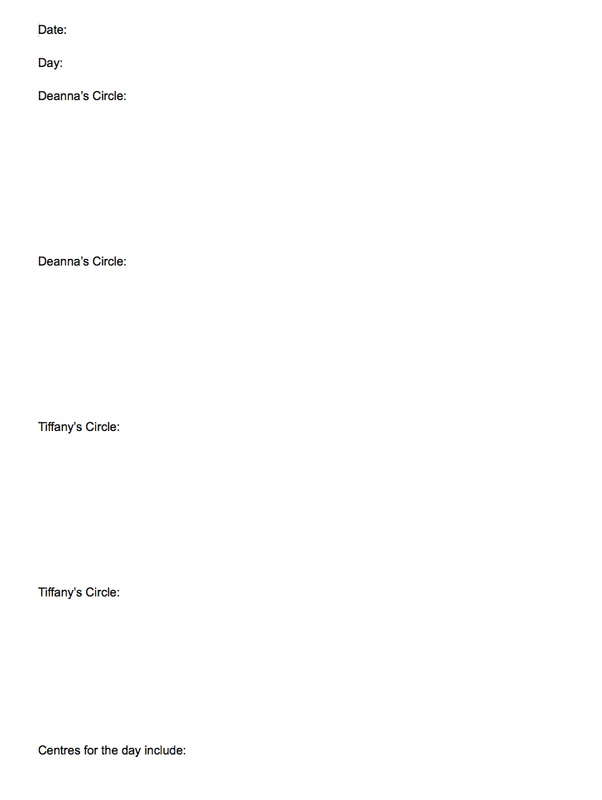 As a team we talk all the time - before and after school, during quiet moments in the yard or classroom, during participation in play, at lunch, through text, and using google docs as an easy way to share plans. It is not uncommon for us to notice something in the children's play or environment and quickly modify or change what we were going to explore at a whole or small group activity, to better represent and meet the needs of the learners and honour their ideas. We are both experienced educators who are very comfortable with the curriculum and trust that the process and program is meeting each child. This is a visual schedule that is available for the children and visitors to refer to. We do not have a desk in the classroom and house all planning materials together on the wall in an easy to access location - this way occasional teachers and administration who visit our space can access the information as needed. When pages become old or not needed they are filed in the daybook or inserted into inquiry binders. On this wall is a copy of our yearly plans, detailed 'day at a glance' (to help explain each part of our day and transitions which is especially helpful for occasional teachers and volunteers), monthly calendar with upcoming events, copy of the curriculum, daybook page with circle and small group activities, and current inquiry idea web. My partner and I acknowledge that although we both plan for our respective circles and invitations for play, depending on what has happened in the day there are many times where these plans are not followed and instead an activity or discussion is used instead to better support what we have observed and the children have shared. What I like to do is then cross out what I had planned or save the dayplan for another day, and write what actually happened on the page after the fact. We also write all over the margins and back of each page - observations to support another experience, communication with families or important events that might have happened that day, reminders, and any other information to help us reflect back on what transpired. These daybook pages are almost like a journal; recording our hopes for what might be accomplished each day and then reflecting backwards on what actually happened. We have been experimenting this year with a web format for recording all the of the different aspects of our big inquiries/projects and the curriculum expectations that have been fulfilled as a result. This particular web is currently showing our "Beautiful Tree Project". I have broken the inquiry into different subjects and list the experiences, resources, and curriculum expectations that have been included. It's an easy way for everyone on the team to see where the inquiry sparked and how we have supported children's learning. Posting it in an easy to access spot means that each member of the team can record items on it. Sometimes the activities happen organically and the children decide what we are going to do within the project. Other times the team introduces and scaffolds ideas, resources, or activities to continue to heighten the inquiry, answer some questions the children had and initiate even deeper thinking and communication of an idea. The beauty is that one never truly knows the direction of an inquiry and it's fun to see what might happen. 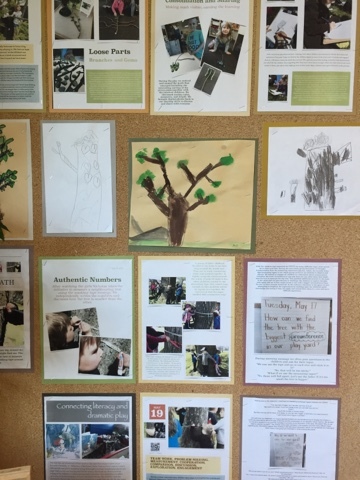 Our current inquiry is being blogged extensively and you can read about The Beautiful Tree Project to see this process in action. 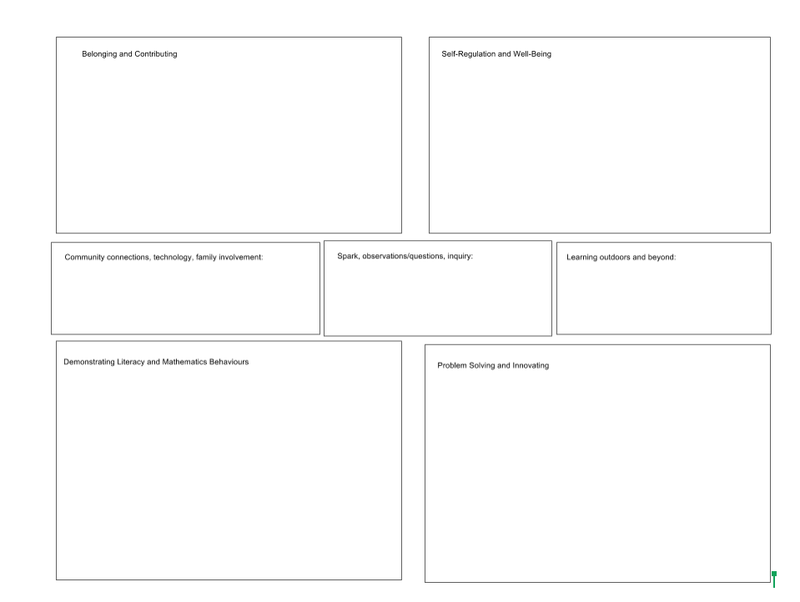 We are hoping to experiment with a new webbing format that reflects the new curriculum document later this month (if we have time). I like how the four frames encourages educators to consider the integrated ways our programs fulfill curriculum expectations and how deep learning happens in play. This is what we are thinking of. We attempt to compile our documentation quickly as the inquiry is unfolding together with the children using photos, videos (a QR code linking to the video is displayed with the documentation and can be quickly scanned by a viewer), writing, drawing, art, transcripts of conversations, teacher interpretation and narrative, etc. 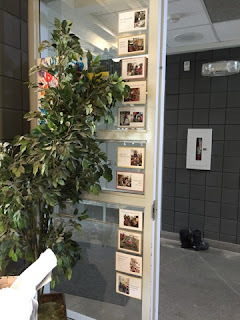 This is displayed and children and educators use the documentation to reflect back on what's been done so far, and use the information to plan needs and next steps. 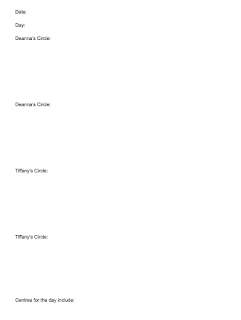 Once the inquiry is complete and the documentation comes down, it is added to a binder and kept for future reference in the classroom. Everyone contributes to the creation of the documentation display so it helps the educators in the space consider gaps in our learning, curriculum and assessment needs and next steps, and how to improve the experience for future inquiries. 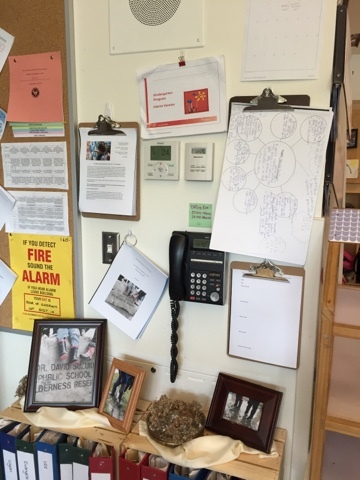 This visual collage of inquiry artifacts can be referred to by the team and used to help guide planning. Reflecting back on past inquiries also informs what curriculum and assessment obligations have been met and drives what might need to be covered moving forward. 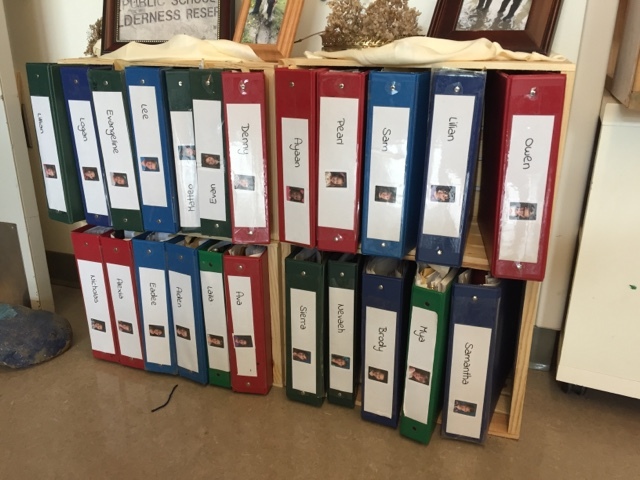 Each child has a learning binder that contains artifacts of their learning and experiences from throughout the year. Children self-select pieces to include and educators also contribute. 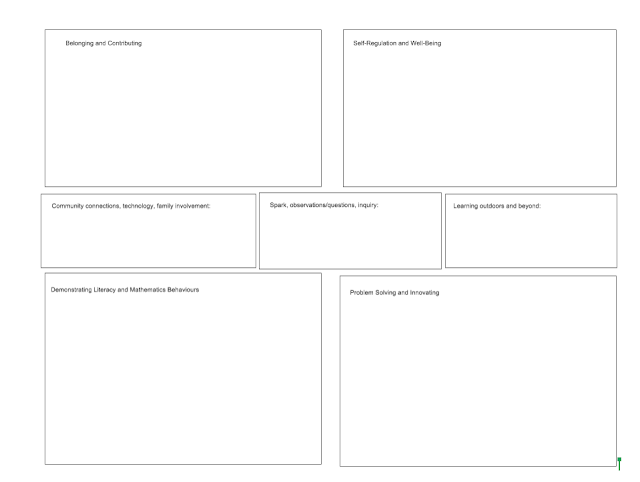 These are sometimes used to help guide planning as we reflect (together with the children and also independently) on what has happened and what a child might need to do next in order to refine or improve in an area. These are also sent home on a regular basis to families who are asked to complete a survey which requires them to look through their children's artifacts, consider what a child has enjoyed/accomplished, and share next steps for the child. These are also used to help guide our work in the classroom. Conferencing with children about what has been included in their binders can be an informative way to help them reflect upon their learning and see what they'd like to accomplish next in the classroom. Our team regularly uses Google Docs to share and build information and classroom resources in real time without the need to file share or be in the same place at the same time. We each have young children so staying late after school to plan isn't a reality for us. We've created newsletters, documentation, yearly plans and report cards using this versatile website. We also have a condensed list of all the Ontario FDK curriculum expectations that we keep handy. As we complete big experiences or inquiries we like to highlight which expectations we have fulfilled and look to see which we still need to address. This helps us with our planning because we can quickly and easily see gaps in our program and collaborate on how we can work to address these moving forward. 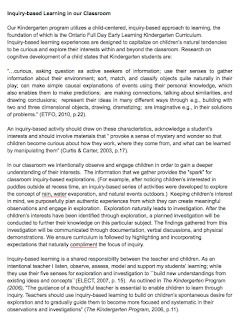 Hopefully this gives you insight into how we work together as a team to plan in an emergent, inquiry-based classroom. As always we welcome questions or suggestions for improvement and look forward to connecting with other like-minded individuals!